Age-related macular degeneration is a degenerative disorder of the macula which is characterised, in its early stages, by a partial sensitivity loss to contrast particularly at mesopic and scotopic light levels and a slower dark adaptation mechanism. Metropsis offers an easy and quick contrast sensitivity test that can be run at these crucial light levels. Keywords: AMD, age-related macular degeneration, dry-AMD, wet-AMD, contrast sensitivity, CSF, Metropsis, photoreceptor, scotopic, mesopic, visual function, cones, rods, children, paediatric, visual function, aging, adaptive procedure, psychophysics, spatial frequency. Age-related macular degeneration (AMD) is a degenerative disorder of the central retina, the macula. Early signs of AMD consist of morphological changes in the macula which tend to appear in people over the age of 50 years. A proportion of these patients develops a severe and irreversible loss of central vision in one or both eyes. The macular dysfunction is often due to either an extensive atrophy of the tissue – also known as geographic atrophy (GA) or dry-AMD – or because of scarring due to a neovascular lesion – also known as choroidal neovascularization (CNV) or wet-AMD. Why is it so difficult to detect the onset of AMD? It is not easy to measure early functional changes that occur in AMD. This is because early changes are typically of a morphological nature and occur with unnoticeable vision loss or measurable visual dysfunction. These changes need to become much more pronounced for the patient to be aware of correlated functional vision changes, such as difficulty in reading under dim light and problems with dark adaptation. These changes can also be missed by conventional vision tests used in the clinic, such as the distance visual acuity tests (Sarks et al., 1988). This is probably because the visual acuity changes are too small to be significantly different from the test-retest reliability of the acuity charts (Rosser et al., 2003 ; Arditi and Cagenello, 1993 ; Lovie-Kitchin and Brown, 2000 ). Also, these eye charts are limited (i) to one level of contrast, (ii) to a high spatial frequency content of the letters presented, and (iii) to the assessment of the central visual field. 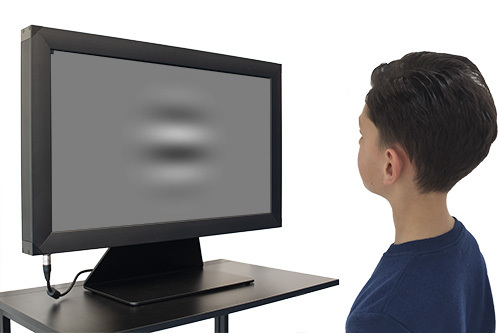 What is the best way to measure early functional vision changes? 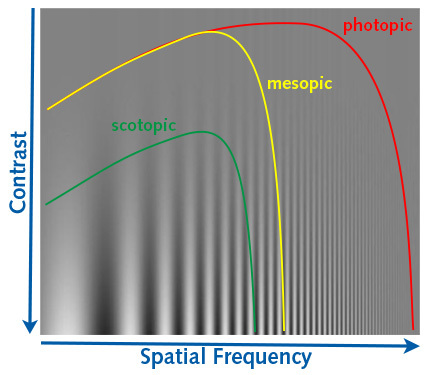 Tests that measure the sensitivity to contrast at different spatial frequencies provide more information about the functionality of the photoreceptors and their postreceptoral pathways. 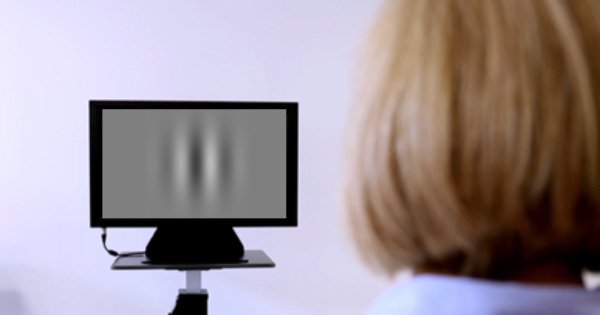 These tests are being used more and more often to quantify functional vision loss in AMD. Contrast sensitivity is a measure of the amount of contrast required to detect or discriminate an object. This ability has traditionally been measured using sinusoidal gratings of different spatial frequencies like the ones showed in Figure 1. The adoption of these patterns follows the discovery of neurons involved in the early stages of the visual processing which are optimally “tuned” to such patterns. Figure 1. Gratings of different spatial frequency as displayed on the Metropsis screen. The Metropsis system allows you to measure contrast sensitivity by presenting a test pattern and repeatedly adjusting the contrast until it reaches a threshold level which represents the minimum amount of visible contrast. In simple terms, the contrast represents the brightness difference between the dark and bright bars of the grating. 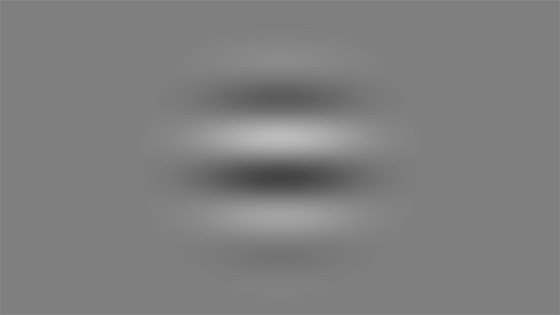 Figure 2 shows an example of two gratings with different contrast. Figure 2. Gratings of different contrast as displayed on the Metropsis screen. Figure 3 shows a typical contrast sensitivity function (red line) measured with Metropsis in an adult with normal vision. The contrast sensitivity function has been plotted approximately in correspondence of the subject’s contrast threshold. Figure 3. The red line represents a typical contrast sensitivity function in a normal adult as measured with Metropsis. The CSF varies with changes in light levels (see Figure 4) and with age (Derefeldt et al. 1979, Ross et al. 1985). However, the rate of change due to aging is different across light levels, as the mesopic CSF starts to decline in the 50s well before the photopic CSF. This could be due to the age-related reduction in the number of rods in the parafovea (Curcio et al. 1993; Gao et al. 1992), which is more severe in cases of AMD (Curcio et al, 1996). Figure 4. Changes in CSF due to changes in light levels. How can I measure contrast sensitivity with Metropsis? The Metropsis system provides a fast contrast sensitivity test which is designed to measure a complete CSF in approximately 5 minutes. When the investigator launches the CSF test from the Metropsis App, Metropsis automatically presents a series of gratings on the CRS Display++ LCD monitor over a wide dynamic range. The monitor contains an integrated real-time sensor system, which enables the display to remain calibrated over time. The grating is displayed in the centre of the screen (Figure 5) at 5 different spatial frequencies, which are selected in the range 1 to 10 cycles per degree. Figure 5. A vertical grating presented onto the calibrated Display++ monitor. During the test, a quick adaptive procedure randomly presents the grating in a vertical or a horizontal orientation. The observer is instructed to report the orientation of the grating by pressing either of two keys on the response box. Figure 6. Vertical and horizontal gratings. Figure 6. The subject responds to the instructions by pressing keys on the response box. 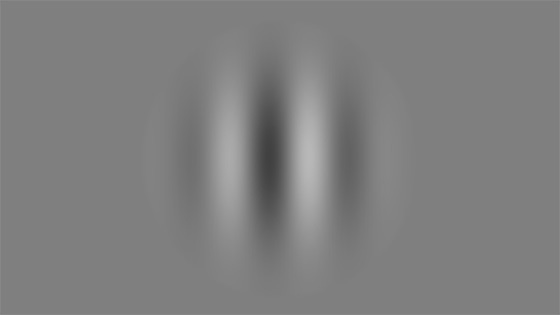 If the observer answers correctly, on the next presentation the grating contrast decreases; if the observer answers incorrectly, the grating contrast increases. This procedure is designed to find the minimum contrast required to discriminate the orientation of the grating. This adaptive procedure continues until a contrast threshold is found for each spatial frequency. During the experiment, the examiner can monitor the performance of the subject from the Metropsis App. Fig 7. The examiner can monitor the performance of the subject from the Metropsis App. The Metropsis system offers a quick and reliable test for measuring contrast sensitivity over a large range of spatial frequencies. Being able to measure the CSF over a range of spatial frequencies allows the characterisation of the CSF peak and cut-off frequency of the central and peripheral visual fields. As soon as the test terminates, the results are immediately available on the Metropsis App in a table format (Figure 8) as well as in a graphical representation (Figure 9). Figure 8. Results are immediately available in the Metropsis App. Figure 9. Further analyses can be performed within the Metropsis software. 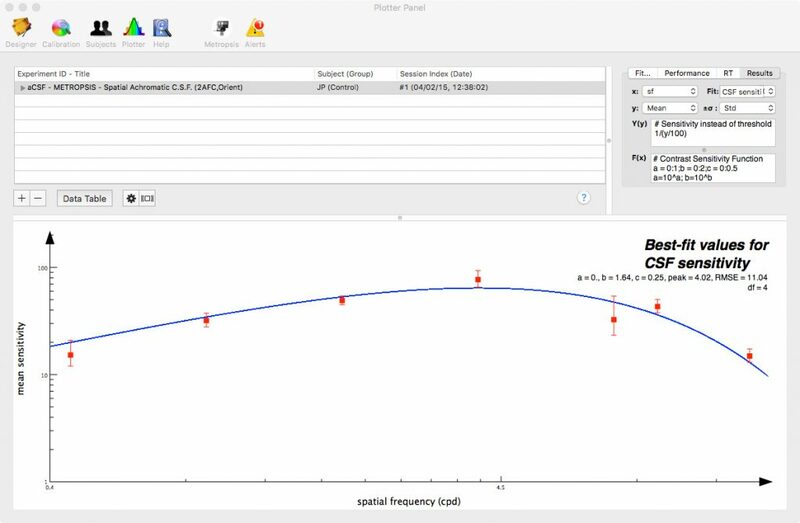 Additional information, such as the peak sensitivity, the cut off frequency, or the area under the curve, can be obtained by assessing the Metropsis software installed on the iMac (see for example Figure 7). It has been demonstrated that the contrast sensitivity function of AMD patients is significantly depressed at mid-to-high spatial frequencies. This sensitivity is even more reduced at dim light levels. The Metropsis system can measure the CSF at photopic, mesopic and scotopic light levels. 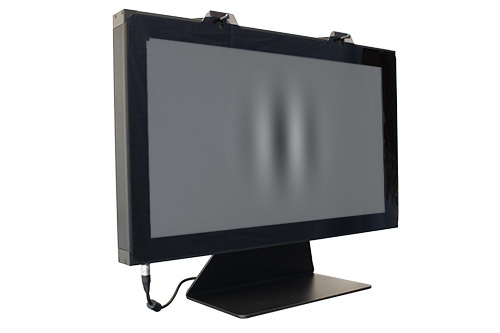 The lower light levels are achieved by mounting a series of spectrally calibrated neutral density filters in front of the self-calibrating Display++ LCD monitor, as illustrated in Figure 10, and through direct control of the Display++ LED backlight intensity. Figure 10. Display++ LCD displaying vertical grating, with neutral density filter fitted. At photopic light levels, the rod responses are saturated or desensitised, thus the CSF measurements represent primarily the sensitivity of the cones. However, the cones are insensitive at scotopic light levels, and thus the CSF is uniquely due to the responses of the rods. At mesopic light levels, both cones and rods contribute to the CSF. In summary, by measuring the CSF at different light levels it is possible to isolate and characterise the responses of different classes of photoreceptors. Can I measure the CSF in young children? The Metropsis contrast sensitivity test uses a non-invasive psychophysical method to assess contrast sensitivity. According to this method, a stimulus is displayed onto the screen and the subject is instructed to press some keys on a response box which will indicate how well they see the stimulus. In particular, the subject is instructed to answer whether the stimulus pattern has vertical or horizontal stripes by pressing the corresponding key on the response box. During the test, the subject can take as many breaks as they need. The instructions have been carefully written to be easy to understand and follow even by 4-5 year-old subjects (figure 11). The duration of the test and the number of breaks taken during the test itself can be easily customized by the investigator. Can I measure the CSF with the Pelli-Robson charts? Metropsis can measure contrast sensitivity with a computerised version of the Pelli-Robson charts, as illustrated in Figure 12. Figure 12. Computerised Pelli-Robson chart as displayed on the Metropsis screen. 1) Each chart is quickly presented and the letters’ order is automatically randomised. 2) The examiner can choose whether to run the test at one spatial frequency or several frequencies. 3) The examiner can select the specific spatial frequencies to use. 4) The examiner scores the answers electronically to reduce possible operator errors. 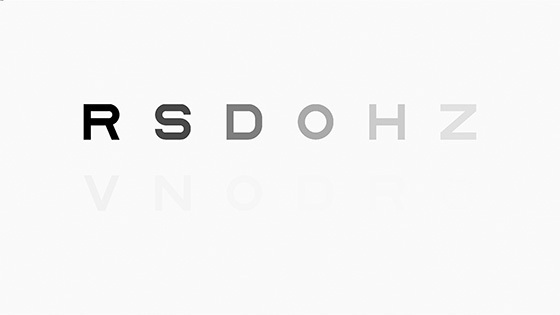 The Metropsis contrast sensitivity test can also be used in other ophthalmic conditions including myopia, cataract, presence of a glare source, age-related macular degeneration, ocular hypertension, glaucoma and dry eye. A loss in contrast sensitivity has also been found in some neurological conditions, such as: multiple sclerosis Parkinson’s disease, cerebral lesions, and schizophrenia. There is also evidence of a decrease in contrast sensitivity as a side effect of prescription drugs. Sarks, J.P., Sarks, S.H., Killingsworth, M.C., 1988. Evolution of geographic atrophy of the retinal pigment epithelium. Eye 2, 552–577. Rosser, D.A., Cousens, S.N., Murdoch, I.E., Fitzke, F.W., Laidlaw, D.A., 2003. 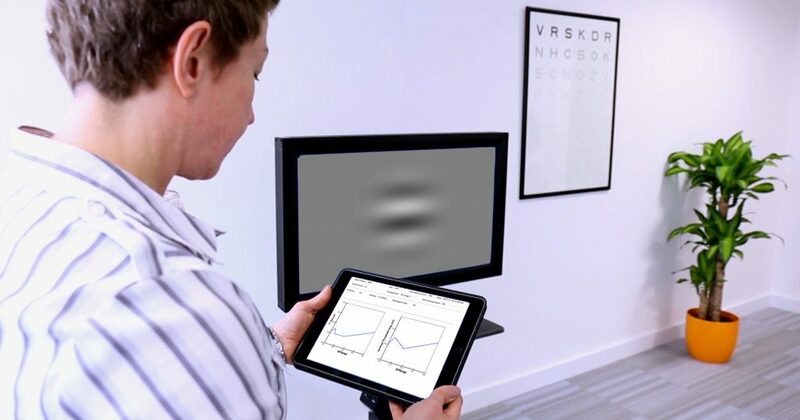 How sensitive to clinical change are ETDRS logMAR visual acuity measurements? Invest. Ophthalmol. Vis. Sci. 44, 3278–3281. Arditi, A., Cagenello, R., 1993. On the statistical reliability of letter-chart visual acuity measurements. Invest. Ophthalmol. Vis. Sci. 34, 120–129. Lovie-Kitchin, J.E., Brown, B., 2000. Repeatability and intercorrelations of standard vision tests as a function of age. Optom. Vis. Sci. 77, 412–420. Derefeldt G Lennerstrand G Lundh B. Age variations in normal human contrast sensitivity. Acta Ophthalmol . 1979; 57: 679–690. 22. Ross JE Clarke DD Bron AJ. Effect of age on contrast sensitivity function: uniocular and binocular findings. Br J Ophthalmol . 1985; 69: 51–56. 23. Curcio CA Millican CL Allen KA Kalina RE. Aging of the human photoreceptor mosaic: evidence for selective vulnerability of rods in central retina. Invest Ophthalmol Vis Sci . 1993; 34: 3278–3296. Gao H Hollyfield JG. Aging of the human retina. differential loss of neurons and retinal pigment epithelial cells. Invest Ophthalmol Vis Sci . 1992; 33: 1–17. Curcio CA Medeiros NE Millican CL. Photoreceptor loss in age-related macular degeneration. Invest Ophthalmol Vis Sci . 1996; 37; 1236–1249.